Recently I have completed several builds using cases (NZXT Manta for example) that are more geared towards gamers but this time I decided I wanted to go with something that was simple/clean yet also nice to look at. This build was designed to be used for some casual gaming as well as to be used as the "family PC" for my wife and kids to use from time to time. I usually tend to go all out replacing the stock fans with nicer looking ones and maybe adding some led lights but this time I decided to stick with the stock as they are fairly quiet and look very clean. I really wanted to go with a fully modular PSU but I got an amazing deal on the SeaSonic semi-modular and I could not pass it up. I am very happy with how the build came together and I love that I can have both my H80i and a 140mm intake fan in the front. Most cases allow for 1 or 2 140mm or 120mm fans but this case allows for you to mix the 2 sizes. 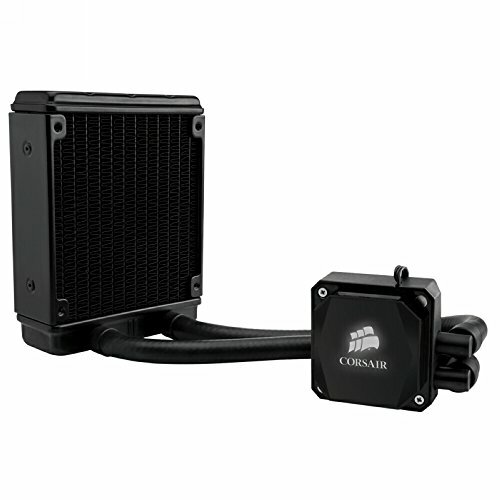 I considered going with a H100i but I decided that I really wanted to keep the 140mm intake and still have a front mounted liquid cooler. The ITX GTX 1070 I used was a hold-over from a previous build but I love the power it packs in such a small size. UPDATE** After more closely monitoring my temps I decided to switch a different GTX 1070. Newegg has the EVGA GTX 1070 Hybrid for a great price. Not only does it have a blower style cooler that is completly un-obstructed by the PSU in this case but it also has an AIO liquid cooler. I will post pictures soon; really liking it so far! outstanding CPU for multitasking and gaming; yes it's overkill for gaming alone but for some of the video work I do having the extra power makes a big difference. Great CPU cooler for this case. I was able to keep the 140mm intake fan and still install this in the front panel. My temps so far have been great. 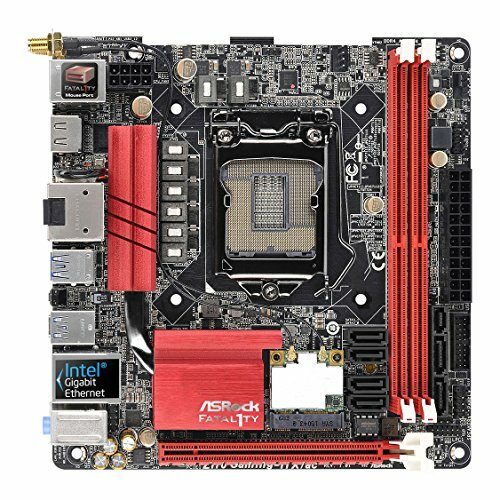 I have used several different Z170 ITX boards and this one has been my favorite so far. The layout is much better than the Gigabyte Z170 ITX board (terrible location for front USB 3.0 connector) and it performs very well. 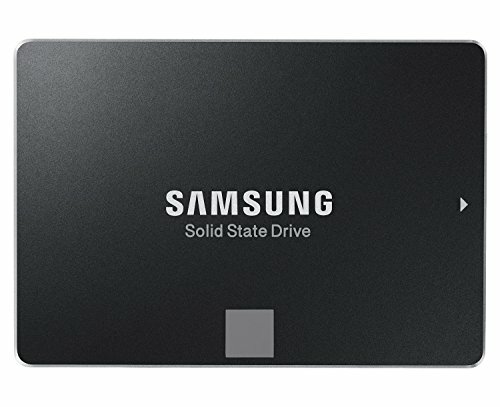 If you can get this SSD for a good price it is one of the best on the market. Sure it won't out perform M.2 but for most users this is a great drive. I love this little card. I have used several different GTX 1070 cards and this one is my favorite because of the power that is packed in such a small size. I had it in a Cooler Master Elite 110 case and moved it over for this build. What can I say? it's a Seasonic and JonnyGuru give it a 9.8 out of 10. I was able to get it for $69.99 which made it too good to pass up. Nice Clean Build! Thumbs Up! Just wanted to make a quick comment and possibly help you out. I bought the Nano S the first week it was available in the US and had a GPU in it similar in size to the one you currently have. Small GPU's do not work well in this case with the proximity of the PSU. Your GPU will be starved for air, consider getting a blower style card. I am going to monitor temps a little closer now though so thanks for mentioning that. I will look into a blower style card. Have you had any problems with your gpu sagging? 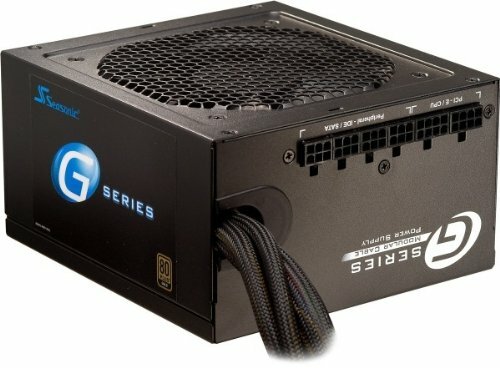 I originally had an Asus GTX970 Mini and touched my PSU one day while it was running a game and noticed it was really hot. Switched to a GTX 1080 Founder's Edition and the PSU is no longer hot. Kyle from BitWit (AwesomeSauce Network) made a video about it on YouTube.